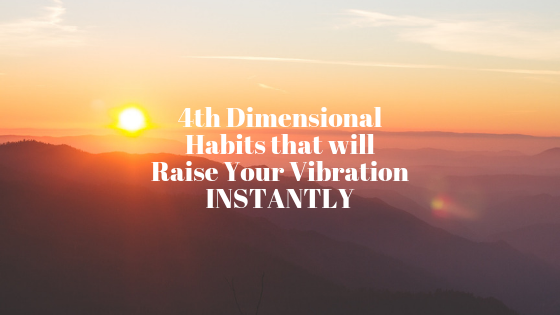 I'm going to be sharing with you those fourth-dimensional habits that will raise your vibration instantly. These are things that as you begin to apply, you'll notice that your life takes on a whole new form because as you raise your vibration, you also will experience reality is equal to that vibration that you now have. We always get in life are a reflection of our vibration. When you raise it is an experience a whole new reality. What is the fourth dimension? What does that even mean? There are different dimensional states of consciousness and right now on the planet, we are going through this shift in consciousness. We are going from what is called a third-dimensional state of consciousness into a fourth and fifth-dimensional state of consciousness. The third-dimensional state of consciousness is that of the duality that is happening a lot of times. When you see the news, it keeps us in a certain frequency range. It keeps us focused on a certain way of thinking. Think of the three. The reality is that of like almost the ego, it's very egoic. There's a lot of level of control. Things have been controlled in the past. That's why there is that, um, the weight, that's kind of the way that that is. And it's about understanding also how the brain works. The brain's left brain, right brain. Well, there's duality in the brain. It's being identified with the brain and the ego and the third dimension. And in the third dimension, themes are very dense. Things take a while to manifest. You may set intentions and it may take a while and you may have to put in a lot of work, a lot of action. There's a big emphasis on linear time, space, reality, so it's like the beginning, middle, and end. And that past, present, and future. These are all more 3D concepts and in 3D ideas or 3-d, a way of being as well as a very carbon-based body, a little bit denser. And the form is emphasized. It's almost like these bodies are avatars. We are forgetting who we are, so we come to Earth, we forget who we are so that we can remember who we are. We use these physical avatar bodies while we're here as vehicles, but in the 3D reality, we think that this is who I am. I am this ego self. I am this Avatar. When in actuality we're much more than that. What is happening on the planet right now is there is this shift in consciousness that is happening. We are moving from a 3D level of reality into a four and 5D reality. If the fourth-dimensional state of reality is much more flexible, this is when we start to tap into more instant manifestation. Things happen much, much faster. You may understand as well that there's a certain level of Karma in 3D reality and 4D there's still a level of Karma. But what you put out is what you get back much, much faster. I also manifestation happens much, much faster because your vibration has continued to increase. Understand that when it comes to the fourth dimension, it's about recognizing that it's a higher state of consciousness. That is the fourth dimension we start to perceive things and a much more flexible type way. This is a quote that I've been saying a lot, but as a quote that really helps understand this life is like a dream row, row, row. Your boat is that old saying and it's because in a way life is a dream. The fourth dimension is when you realize that life is a dream and then things become much more flexible. Reality becomes much more fun. The time and spaces and so fixed and solid, and in this reality, when it's the fourth dimension, do you realize life is a dream? The more dreamlike your life becomes, you can focus on the frequency of you want and it happens much faster and the fourth-dimension time starts to become, now you realize that time continues to speed up. That perception of time begins to speed up. You may notice that right now on the planet time has been speeding up. The perception of it has. It's because as you raise your vibration, the perception of time speeds up as well. You may notice that there's a lot of things happening where things almost seem like they're shifting so fast and we noticed that there are some people that have heard of what it called the Mandela effect. The Mandela effect is where some people remember a certain past or a certain thing happening. Other people see it completely different and remember something totally different using memory or as we shipped through these different realities, we're remembering different parts of it because we are literally on different time tracks, but it's all collapsing right now. The fourth dimension is this. This present is we're almost like we're more present to the moment. The fourth dimension is when things become more about vibration. It's when you realize that life is a form of a dream and that because of that you begin to increase your vibration to a totally new level. And it's also when you start to feel higher vibrational emotions and the lower vibrating in the 3D reality, you may feel lower vibrational emotions, anger, shame, fear, guilt, a survival mechanism, survival mode, emotions. Fourth Dimension has higher dimensional states of consciousness, reasoning, acceptance, and love. These are all potentials. These are all more probable in the fourth dimensional state of consciousness. Right now, on the planet, what is happening is people, and we are shifting from a 3D level of consciousness into a four and five d level of consciousness. The fourth dimension is about understanding that it's actually closer to who we naturally are. When we watch movies like Harry Potter, which I'll represent cause it's one of my favorite books and movies of all time, when we look at that, that would be more like a fourth dimensional state of consciousness is the ability for magic, those kinds of abilities, the abilities we have in the fourth dimension would include telepathy. Even if you look at the third dimension, right? 3-D level of reality, 93% of communication is not the words you say. It's not that big of a jump going from 3D reality into a 4D where we have more ability to tap into people just by thought alone. I can read people like a book and it's partly because a couple of different factors, but this level of consciousness is available to everyone. We all have this ability. It's just us becoming aware of it. We have this telepathic ability to be able to read people and then uh, communicate in that way. Just kind of look at someone sometimes and communicate. We have this ability to manifest faster than ever in the fourth dimension. There are abilities beyond what we can even imagine. We actually as a society, as a, at a certain point, we live in Atlantis Times, Atlantis Times, which fell down in civilization because we got too entrenched into the ego and we started using our powers for bad was when we did things that were similar to the Harry Potter stuff. Magical stuff that we can hardly imagine that used to be a reality. What we're doing is we've, we fell down thousands of years ago to a lower state of consciousness, but now we have this opportunity to raise back up. It's why a lot of people here on the planet right now are people that are also here and Atlanta is times because now we're doing a new timeline. We're doing and we're picking the more positive timeline cause Atlanta's times we chose the ego which shows the negative and we felt that as a civilization. We're raising back up so that we can raise our vibration more and more a fourth-dimensional state of consciousness. When you look at Harry Potter, it's much more dreamlike. There's much more magic involved. Reality is meant to be magical and in this lifetime we're going to tap more and more into this magic. As time goes on, we're going to become more and more aware of these abilities that are beyond what we can imagine. There will be technology in this lifetime that will just blow us absolutely a way. Some of this technology been here a while, but it's been not necessarily in the public and it's something that will become more and more option for us to, to uh, to experience as we go on. Let's talk about some fourth-dimensional habits. One of the fourth-dimensional habits that will your vibration instantly is simply remembering that life is a dream. Just remembering this lightens it up and it raised your vibration instantly. Why? Because when you are in the ego, in the Avatar body thinking everything is so serious, what happens is you are in more of that survival mode. You're more in those lower vibrational states of consciousness such as fear, guilt, anger, and they're attached to those perspectives. But the moment you realize that life is like a dream and that is meant to be fun and it's meant to be flexible and that you came here because you wanted to experience this level of transition and shift in consciousness, then it becomes much more light and flexible. Remind yourself often throughout the day that reality is just a dream. Still have fun with the dream, still enjoy the dream, but nonetheless, it is a dream. It takes away from the seriousness of it. You can almost laugh, you can laugh at almost anything that happens from a certain perspective and when you do get that loose mindset, that fun mindset, it will raise your vibration instantly. If you want to raise your vibration instantly, what you do is you simply give up the seriousness. Those are the things you can do is give up the seriousness and begin to understand that reality is like a dream and it has meant to be fun. Sometimes in the spiritual community, we go around and be like, I'm going to go meditate on raising my vibration and we go get this and we sit there and we meditate and we do all of this cool stuff or whatever it is. But that's seriousness and that weighs down the energy instead. How Fun with reality is, but a dream. And because of that you can have fun and lighten up with the process. And that sometimes is the most spiritual thing you can do is not take your life so serious. The serious comes from ego. The Ego loves seriousness. It loves to take things seriously. And when someone else's joking around and it's like, what are you joking around about this as serious 3D reality? Let it go. Reality is meant to be fun. Reality is meant to be something that you joke around with. The more you do that, that is the highest vibrational thing you can do. That is the way you can raise your vibration to a totally new level. You want to raise your vibration. Fourth-dimensional state of consciousness. Reality is a dream. Reality is a dream. And the more you tap into that knowing it's a drain, the more dreamlike your life will become. First off, that's what you can begin to do. Let's understand that. Another habit you can do, it's something I've done before. I had to go to an acupuncture appointment. How? How? I'm sure that's not hard to believe. It's like spirituality. I'll go to acupuncture. I would actually pucker acupuncture appointment and I was leaving from my house and I had only 10 minutes to get there and it was at least a 15 to 20-minute drive. However, this is what I realized. Yo, I'm in the fourth dimension. We're all in the fourth dimension of it. I'm aware of them in the fourth dimension. I'm a loosen up, but a dream remind myself and I'm going to simply know that I'm going to get there on time and I'm not going to pay attention to the time as I drive. I'm not going to try it by 150 miles an hour, but I'm going to just know that I'm going to be on time because time is malleable. I leave from my house, I don't check the time. I listened to music and I just make every single light on my way there. And that 15 to 20-minute drive, I'd get there exactly at, I think it was like 1130 it was like walked in at exactly the time I was supposed to win. I wouldn't have if I didn't understand that or if I was giving too much emphasis on time. The more you emphasize time, the more time you create. That you can begin to let go of that, you can let go of that and you can allow it and you can start to see it from this new point of view. For this process, what I'm saying, this habit is let go of time and simply set the intention for what you want it to happen in whatever time you want and trust it. And watch what happens. You're almost late for work. Don't drive 150 miles an hour and put yourself in danger. But being in a high vibe state, have fun. Remind yourself as a dream and simply know that you will be on time and you will shave down some of those minutes and being late or whatever it is. Time is flexible. Time is flexible because time is flexible. It is something that you can begin to remind yourself up. These are all kind of like habits, but also reminders. Remind yourself that this is meant to be flexible. Well, this is what it is you getting and being at your passion frequency, your core frequency, which is you doing what you love. Like me, I'm doing these videos right now. I'm doing what I love you doing. That is going to be what increases your vibration and to a fourth and fifth-dimensional state of consciousness there. I said, I know I was saying almost every video, but it is the most simple thing and the most powerful thing. Your core frequency, who you are meant to be in a slide adds value to other people. Even if it's not like a valued industry, you're in the service industry. It adds value just by leading by example. Tap into your core vibration. Your core vibration influences everything and it is your gift to humanity. You incarnated for a reason. Could be to help people, could be as a lightworker to help other people. Wake up could be many different things. Tap into that core frequency. Set the intention to find out what your passion is. Start to do whatever the most exciting thing you can do in every moment and you'll be raising your frequency. This is what the fourth dimension is about. It's about understanding frequency. You could drop your beliefs about it as well. As far as the 3D reality, things are hard to manifest in the 3D reality. All of these limiting beliefs, all these identifications with the ego, let it all go realize the true reality is, but a dream reality is the cosmic dream of source energy. We are all in different little parts and we've incarnated to put a little bit of energy in this body, a little bit of energy in this body and they're all dreaming that we're all separate. I look at you and go, Whoa, look at you. Let me emphasize you. For that is just a dream and in reality, we are meant to be having this dream of cosmic consciousness, remembering who we are going through this shift in consciousness, which is happening right now on the planet and will continue to happen. I really believe this is the most exciting time to be alive on the planet ever. I'm excited to be here with you. Let me know what you think about this. 4D is there any other 4D habits you can think of? Can you leave them below? 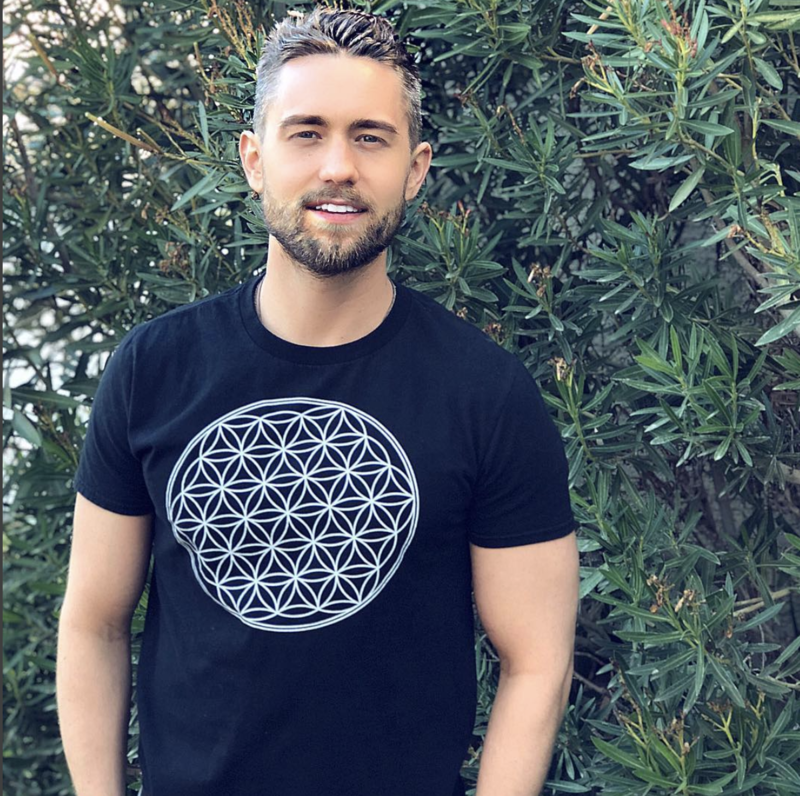 Let's all mastermind on this and we'll read the comments and know, hey, we can apply these fourth-dimensional states of consciousness as well, these habits as well. Also, I have a meditation that will help you to raise your vibrational set point once we'll help you tap into the fourth dimension.